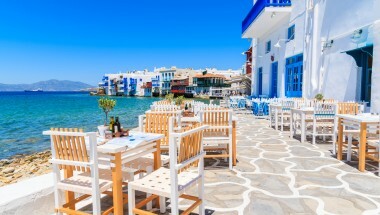 The charming island of Hydra in Greece offers wonderful, traditional architecture, a peaceful ambience, due to the absence of cars and a good choice of restaurants, bars and nightlife. Furthermore, it is easily accessible from the mainland port of Piraeus by a regular highspeed ferry service. 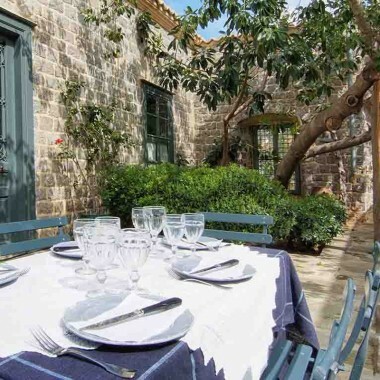 The accommodation consists of the main part of the house and two separate guest bedrooms on the lower ground floor. The living room and kitchen in the main house open to a terrace with comfortable seating and an outdoor dining area, with wonderful views. Tastefully designed, the interiors feature marble floors and beautiful pieces of furniture and paintings. The two bedrooms on the upper level share a bathroom with a shower and private terraces. There is also another bathroom with a shower on the level where the living room/kitchen is. At the lower level the two bedrooms are each accessed from the terrace, and both also have en-suite bathrooms. The terrace here has a small pool, and both covered and uncovered areas for relaxing outdoors. Main Level: Living/dining room. Kitchen with dishwasher, microwave, large fridge and washing machine. Upper Level 2 double bedrooms with king-size beds and 2 shower rooms. Lower (swimming pool) Level: 2 independently accessed double bedrooms with king-size beds, each with en-suite shower rooms. Maid service included twice a week. Linen and towel change once a week. Extra services required, including additional maid service, and a cook, can be arranged but will incur a booking fee from the owner of €50, payable in advance. 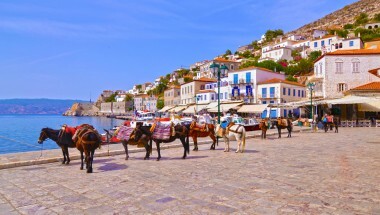 The charming island of Hydra in Greece offers wonderful, traditional architecture, a peaceful ambiance, due to the absence of cars and a good choice of restaurants, bars and nightlife. 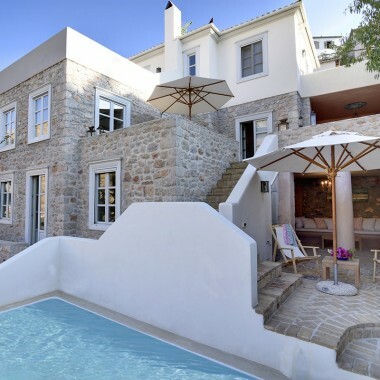 Situated just ten minutes walk up a hillside from the pretty harbour with shops, restaurants and bars, this lovely villa rental enjoys panoramic views over Hydra, marina and the sea. The walk from the port to the villa is around 10 minutes. : Donkey transport to help with luggage can be arranged on request.